47-year-old man could not pinpoint the exact age when his hair loss progression started because it progressed slowly. Hair thinning in the late 30s and early 40s also may not be as noticeable at first, but later onset does indicate less sensitivity to DHT. 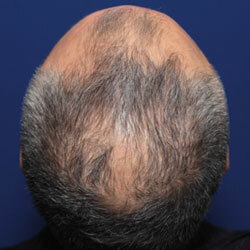 He was not on finasteride prior to treatment. Thicker, denser hair growth is noticeably at the hairline, with darker hair as a side effect of the Hair Regeneration treatment. 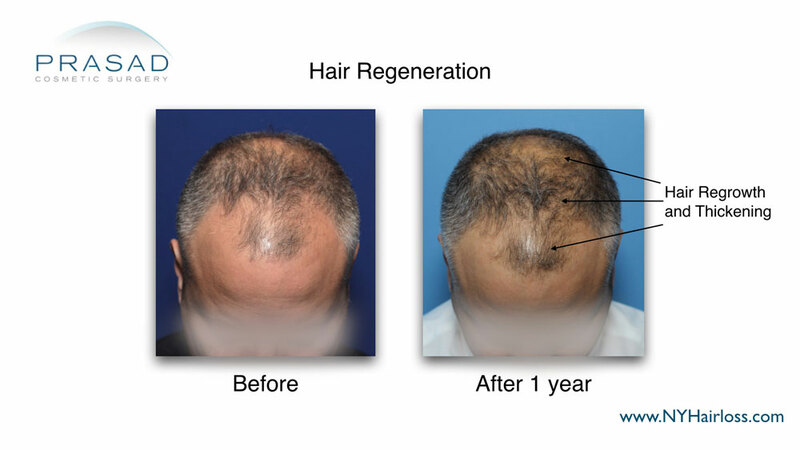 He had one Hair Regeneration treatment, and photos were taken of results one year after treatment. Hair density at the hairline noticeably increased, and he got more hair coverage throughout the mid-scalp and crown. 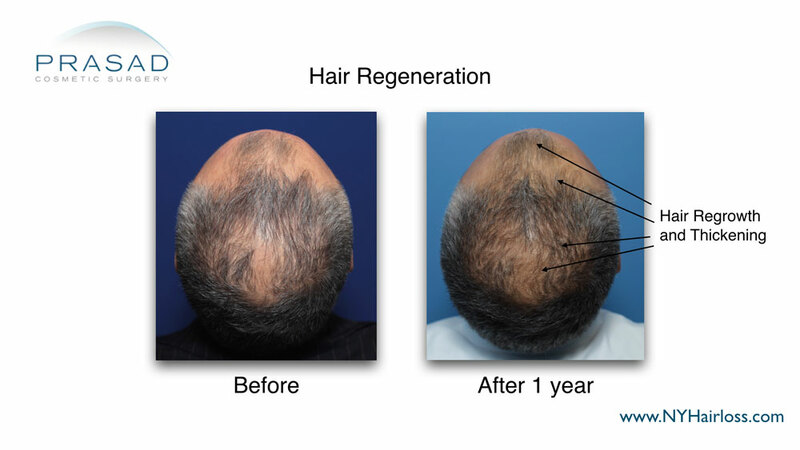 Darker hair growth is also very noticeable, which is a common side effect of the Hair Regeneration treatment. Finasteride was not taken after treatment or to sustain results. Hairline, scalp, and crown hair growth are all considerably thicker and denser, with less scalp showing throughout the head. While DHT-blockers like finasteride are very important for men who are highly DHT-sensitive, like those experience hair loss in their late teens, 20s, and early 30s, men who experience hair loss starting in their late 30s and older are not as sensitive. For men with later onset and slower progression of hair loss, the need for finasteride is determined on an individual basis.